As a new investor getting started I found that getting involved with a good support network was the most valuable tool. Having a resource to go ask questions, find educational materials, find folks to be on my investment team, and just to go to for support helped me get to the next level. I personally have a support network through my local REIA group. No matter what I need I will find a person there who can assist me. These are the people you trust to help you get the deal done: Realtors to help you find deals, Realtors to help you sell deals, Title Company to close the deal, Lenders to fund you or to fund your buyers, Contractors to make repairs, Cleaning People, Yard People, Attorneys for the right paperwork or to evict tenants or to foreclose, Mentors, Self Directed IRA People, CPA’s and Bookkeepers. . . we can keep going, but you get the idea. Some people need a simple formula that you can further take into spread sheets. One spreadsheet would be a commercial property analyzer if you are going to be buying and selling commercial property and can also be helpful with rental property. This can be used to determine cash flow, projected cash flow, debt service, expenses, and value. If you google cash flow analyzer you will find several ready to go tools that you can use for free or buy and be able to save on your own computer. If you are good with excel, you could even create your own spreadsheet. And if you are going for the chunks of cash, you will need a fix and flip analyzer or formula. Our basic formula is that the average real estate investor will pay 70% of the After Repaired Value less the cost of repairs, less the cost of money, and less holding costs. 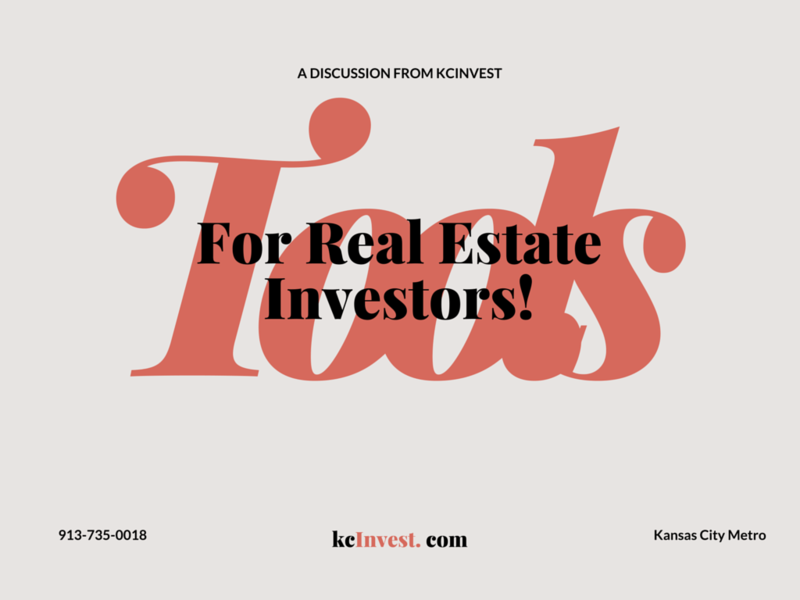 This will tell you what you should be able to pay if you are rehabbing and what you can sell a wholesale property for if you are buying and selling to other investors. This can be put into a spreadsheet as well. As you look at properties you need to have a way to evaluat the property. If you have a checklist of every conceivable thing that could be wrong with a house, the costs of each repair, it is just a matter of walking through a house anda checking off everything that needs fixed, the add up all the costs and you have a rough estimate of repair costs. 1. As a local Realtor you will have access to all the locally approved forms and contracts. You can also get access to similar forms from your title company. Keep in mind that these are written to protect the Realtor or the Title company. 2. Google is a good source as well, but should be reviewed by a local Attorney to make sure they have all the correct clauses. I personally have a mix of all of the above including contracts that I purchased through a training program from Lou Brown, an as is addendum that a local REO company uses, reviews by the attorney at the title company and then clauses we have added in over the years. So I would suggest getting the forms and contracts that you utilize in word form so you can edit as you need to and so that your attorney can easily review and amend as needed. 5. Legal Services: You will need to set up legal entities, have contracts reviewed, and you will have questions from time to time. For the legal entities we have paid a professional to set up the first one, then we have set some up ourselves on future companies. And we have several attoneys that we utilize to review contracts as they are needed. You will need: purchase agreements, sale agreements, lease agreements, options, promisorry notes, deed of trust, authorization to release information, lead based paint disclosures, just to get started. If you are going to have tenants and you will eventually, you need to have a way to screen them. There are several online screening services and your local landlord groups may have access to screening services at a discount. Having access to these list is going to help you find the deals. The online sites that have subscriptions are ok, but not the best use of your money. Save the subscription fees and go directly to the source. If you do a little online research you will be able to come up with a list of all the banks and lenders that have web sites set up to tell you about thier bank owned properties and if you contact a local REO realtor at the local REIA they will be able to get you access to all the REO properties you could ever want to buy. And if you are just staring out, working with a buyer’s agent on REO’s can be very helpful. Keep in mind that if you are buying REO properties, you need to have a proof of funds to buy with cash, a preapproval letter to buy with a loan, and you can’t assign or double close most of these properties. There are many other tools you will need: digital camera, phone, computer, filing system for home, filing system for the car, flash light, clip board, mailing service (USPS.com is great for this), organizational skills, accounting software, and more.